I love giving gifts. There’s just such an awesome feeling when you see their face light up in joy and gratitude when you give them that perfect gift. But finding just the right present for them to unwrap can feel incredibly difficult. Especially when they are the type of person who doesn’t give you too many hints at what they would like. If you’re looking for a few ideas, jump over to our gift guides after reading though the rest of this article. 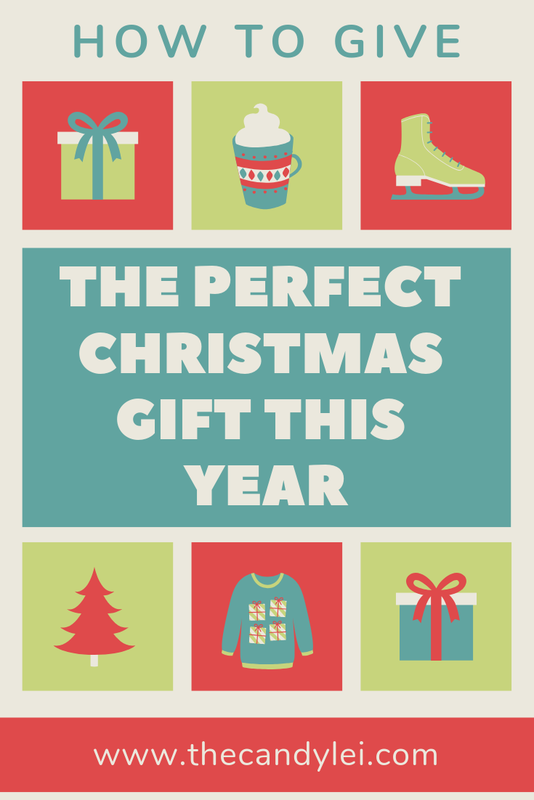 A little while ago I cam across this article from The Conversation that really digs into just how to pick out that perfect gift as well as how to be a gracious receiver of gifts. What do you do when you get a gift you really don’t want? Do you frown and give the game away or do you feign enthusiasm? And is there a secret to buying the right gift? There’s no denying that materialism has become a big part of Christmas – and, while many people associate the festival with positive feelings such as joy, kindness and generosity – they also increasingly view consumption of gifts as an integral component of the “Christmas spirit”. Choosing the right Christmas gift can be a minefield and may even cause apprehension and anxiety for some. Thankfully, social psychology has some tips. 1: What kind of gift? There are two strategies for finding the right gift. The first is to be “recipient-centric” – where you try to find a gift that reflects the qualities or interests of the person receiving the gift. The second is to be “giver-centric” – which is where you are focused on giving something that reflects own personality or discloses something about you as an individual. But which option is better? In a series of studies, researchers found that most people think recipient-centric gifts are preferred. But the people who actually took part in the studies reported more closeness when they received a giver-centric gift. It seems there’s greater meaning in giving gifts that reflect your own personality or likes, rather than trying to prove how much you know a person by buying something you think they will like. Indeed, gifts that are symbolic of the giver – particularly gifts that illustrate true sacrifice in terms of time and effort – seem to be highly appreciated. The trouble with recipient-centric gifts is that a lot of the time we second-guess what a recipient would like. A more straightforward strategy would be to explicitly ask what the other person would like. Research shows that while gift-givers assume people will like requested and unrequested gifts equally, recipients in fact show a clear preference for gifts they have asked for directly. Some people like to lessen the risk by giving people money. Receivers generally value money to the same degree as gifts they haven’t specifically asked for. But giving money as a Christmas gift isn’t necessarily a good idea. Christmas isn’t really perceived to be about money and, as a result, may fail to convey intimacy or may instead send an inappropriate message about the unequal status between the donor and recipient. But what about the cost of a gift? One series of studies found that people tend to believe that expensive gifts are appreciated more than inexpensive ones, whereas in reality recipients reported no association between the price of a gift and their feelings of appreciation. In other words, it’sthe thought – or the sacrifice that has gone into obtaining that gift – that matters. One subtle way of ensuring you get what you want is to ask for just one thing. When we present someone with a list of things we would like, a gift-giver falls into the false belief that we would be just as happy with something that’s not on the list. But if we ask for just one thing, the giver is more likely to realise that we would like that one thing rather than any other idea they could come up with. How we respond to bad gifts can differ a lot – even across genders. In one study, women and men in (heterosexual) relationships were asked to select a gift for their partner from a range of options, which they had already ranked in order of desirability. Half the participants got what they most wanted and the other half got what they least wanted. When men didn’t get what they wanted, they perceived less compatibility with their partners and thought their future together wouldn’t last very long. But women who didn’t get what they wanted perceived greater similarity and thought their relationships would last a lot longer than those who had received a good gift. The study’s authors suggested that women may be more motivated than men to employ psychological defence mechanisms to protect against the effects of receiving a bad gift – by viewing their relationships positively. Indeed, women tend to be the main orchestrators of Christmas celebrations and on average pay more for Christmas gifts than men. So they may have more at stake in maintaining good relationships over the holiday season. If you do receive a poor gift, one way of defusing the situation is simply to say “thank you”. One researcher found a range of cues indicated that a gift wasn’t appreciated – from frowns and false smiles to the gift mysteriously disappearing forever. But failing to say “thank you” was the only indicator that parilcipants said reliably predicted how detrimental the incident would be to the future of the relationship. The participants were also asked how the recipient could have made things better – and again saying “thank you”, even if wasn’t genuine, was cited as the most important thing. 4: How much to spend? There are good reasons why gift-giving has become such an important partof the holiday season. Christmas is culturally perceived as a time of giving and spending more of one’s income on others, which is associated with greater levels of happiness than spending money on oneself. Indeed, one study found that participants who were randomly assigned to spend money on others experienced more feelings of happiness than those assigned to spend money on themselves. 5: It’s not all about presents! Be warned: gift-giving alone does not necessarily make for a merrier Christmas. One study found that participants reported greater levels of happiness when Christmas was focused on family or religious-oriented tradition and rituals, and lower well-being when Christmas was focused on spending money and receiving gifts. So while gift-giving may now be an integral part of what many people consider to be a “Christmas spirit”, materialistic aspects of Christmas may also undermine season happiness. Focusing on money, possessions, image and status distracts us from the experiences that enhance our well-being. Instead, focusing on the social aspects of Christmas – the individual family traditions, altruism, kindness and relationships with others – may mean you have a happier Christmas.